After Tip and J.Lo banished the Gorg from Earth in a scheme involving the cloning of many, many cats, the pair is notorious-but not for their heroics. Instead, human Dan Landry has taken credit for conquering the Gorg, and the Boov blame J.Lo for ruining their colonization of the planet. Determined to clear his name, J.Lo and Tip pack into Slushious, a Chevy that J.Lo has engineered into a fairly operational spaceship, and head to New Boovworld, the aliens' new home on one of Saturn's moons. But their welcome isn't quite as warm as Tip and J.Lo would have liked. 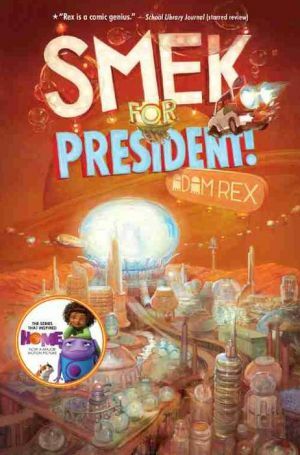 J.Lo is dubbed Public Enemy Number One, and Captain Smek knows that capturing the alien is the only way he'll stand a chance in the Boovs' first-ever presidential election. With the help of a friendly flying billboard named Bill, a journey through various garbage chutes, a bit of time travel, and a slew of hilarious Boovish accents, Tip and J.Lo must fight to set the record straight-and return home in once piece.